The daily planner I use is the Happy Planner. I have always kept some type of planner since my freshman year at college. I gradually moved to using an online planner in the form of Google calendar. This is still my main planner as I like having alerts come up on my phone. 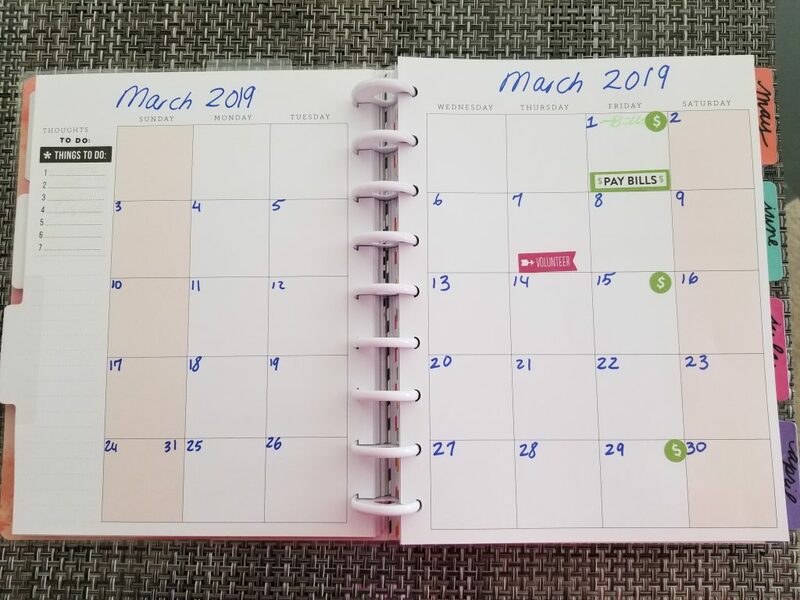 The paper planner is a great way to get a visual of my time and I can decorate it…which can’t be done with Google calendar. Currently I am using the planner to keep a journal of my days. I hope that I can also use it to save money. 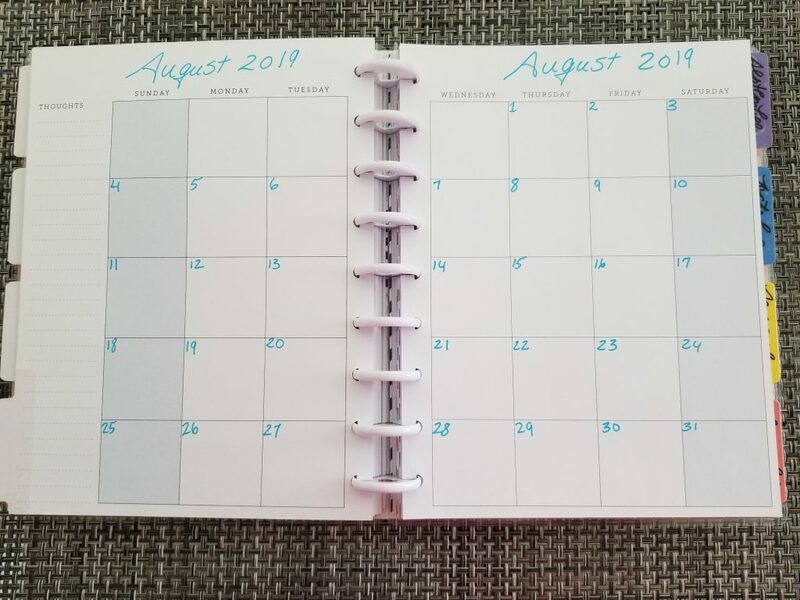 How this will be done remains to be seen as I get the hang of using a paper planner. 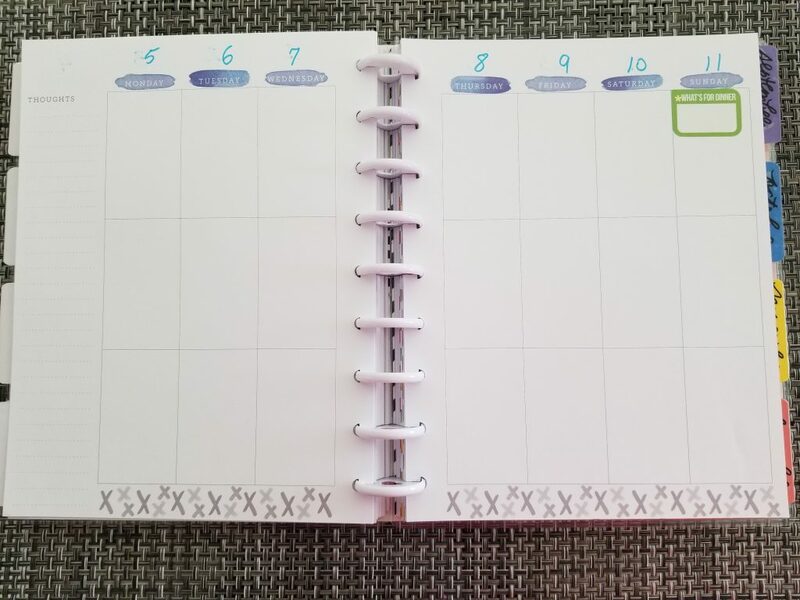 The planner has a month tab which shows your month at a glance. I currently fill in what I can ahead of time. Then I go back at the end of the week and copy major items from the daily view into the monthly view. This is the page that stays open on a daily basis. I fill out items that I know ahead of time in each box. At the end of the day fill anything that was not pre-set. Using stickers would help me to have this planner as a creative outlet instead of a giant to do list. This fits my lifestyle since I can’t give up using my online calendar as my actual planner and to do list. I’ll let you know how my sticker planning works out periodically through the year!